As much as songwriting might be about learning near rhymes and various song forms, it’s also about creating a musical history from which to draw from. While you’re busy becoming your own unique musical person, shaped by tacit and explicit influences, your peers are going through the same. Often a peer in your geographic area will have similar influences. Imagine young songwriters growing up near Muscle Shoals, Alabama, for example — the home of a remarkable sample of essential American/British music recorded at FAME Studios and Muscle Shoals Sound Studio (often with the rhythm section of Barry Beckett Roger Hawkins, Jimmy Johnson, and David Hood). The Rolling Stones, Wilson Pickett, The Staple Singers, Elton John, Aretha Franklin, Bob Dylan, and Paul Simon all made iconic records there in the 60s and 70s. Enamored with the history, even The Black Keys recorded in the empty shell of Muscle Shoals Sound Studio for Brothers in 2009. John Paul White from The Civil Wars, a duo I have produced and written with, lives in Florence and was once a young songwriter growing up in the Shoals. The performance track for “Tell Mama” (on the 2nd full-length The Civil Wars) was recorded at FAME Studios — where Rick Hall produced the original version on Etta James 45 years earlier. So as far as places go, FAME Studios in Muscle Shoals is iconic. I was backstage with FAME Studios founder Rick Hall at the U2 concert in Nashville July 2, 2011, where Rick was thanking Bono for participating in the wonderful documentary Muscle Shoals. If you and your songwriter peers had grown up in nearby Florence, Alabama, but even if you didn’t, it would have been very difficult to escape the Muscle Shoals influence. It still is — just ask John Paul White or Bono, who grew up in Dublin, Ireland. Songwriters of the same age and general skill but living in different parts of the globe will also have similar influences. This is especially true today. The Internet has created one very large, overwhelming world of music that all of us can be influenced by. Even so, it’s still just as probable that a songwriter born in Rapid City, North Dakota, on October 7, 1968, the same birth date as Thom Yorke of Radiohead, would have very different musical influences than Thom. And vice versa. 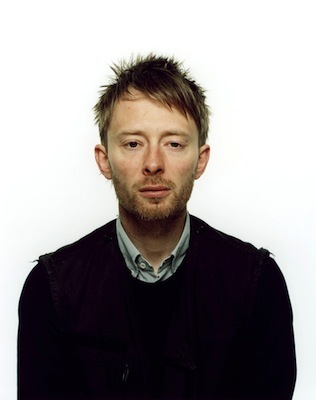 Not only was Thom not born in America (in Wellingborough, Northamptonshire, England, to be exact), he moved often, including living in Scotland until he was seven. Places, and the people that inhabit places, are never neutral in what they give birth to. People and place are meaning makers. People take into themselves, like oxygen, those things that are meaningful to them — they are literally full of meaning. They interact with unique, meaningful, created things in unique, meaningful, created places — like Muscle Shoals, London, Brooklyn, Nashville, Berlin, Capetown, San Francisco, and believe it or not, even tiny, little, seemingly insignificant towns. Right now, in all these places famous and unknown, our songwriting peers are at work. When I listed (in Part 1) the major, seminal influences I chose for myself, Jackson Browne’s name was at the top of the list. Even though Jackson is only eight years older than I am, I would never consider him a peer. Vince Gill I would consider a peer. We are very close to the same age and share the same baby boomer history of America in which we grew up — landmark events and people like Martin Luther King and the civil rights movement, The Beatles on Ed Sullivan, and the first man on the moon. Even though we share some Oklahoma roots, Vince was born there and I in California. He didn’t grow up in my family and I didn’t grow up in his. We have similar but different influences and experiences. One thing for sure, Vince is a great songwriter, so he is a peer I can learn something from, and have. Who are your peers? Peers can be near to you as well as people you watch and listen to from a distance. Hopefully, you have friends your age who are songwriters too. If so, learning from each other is essential to a songwriter’s development. When I was a high school freshman, a senior, much further along than me as a songwriter, befriended me. I don’t recall learning specifics from him so much as just being inspired, and that’s more than enough. Later when I moved from Yuba City to Sacramento I had a songwriting mentor Steve Holsapple, ten years older and a published songwriter (Bonnie Raitt, Dave Mason). We wrote so many songs together from 1978–1982 that functionally Steve was a peer. As far as people my age though, my songwriting peers in Sacramento were other recording artists like Roger Voudouris, Brent Bourgeois, and Larry Tagg. Outside my close circle, songwriting peers that I listened to in my twenties were Elvis Costello, The Police, The Eurythmics, U2, XTC, Aztec Camera, Thomas Dolby, and PreFab Sprout. They all inspired and influenced me to some degree. If you’re in your twenties now, well-known songwriters like Taylor Swift, Bruno Mars, Ed Sheeran, 2 Chainz, or Adele might make the list of peers you admire and learn from. Or you might say you’re more of a St. Vincent, Laura Marling, Katie Herzig admirer. Whatever your age and whoever inspires you, take an inventory for yourself. Who’s on your list? Knowing the answer for you is what’s important. It’s your story. Write it. Peers will change over time, especially if you write consistently for several decades. Some remain, like my friend Brent Bourgeois, whom I’ve known and admired for thirty years. Brent was in the 80s era group Bourgeois Tagg who enjoyed the hit “I Don’t Mind At All” produced by Todd Rundgren. As for the list of peers I listened to in my twenties, I’m still listening to Elvis Costello and U2 and very much admire the consistency of their careers. New peers come along, like the great Nashville writers Tom Douglas and Allen Shamblin, or Vince Gill who I mentioned earlier, or Buddy Miller, whom I respect so much. But if you are privileged enough to keep writing into your forties and beyond, eventually attrition will leave only a few of your authentic peers standing. You’ll be headed in the other direction, perhaps writing with people considerably younger than you. Hit-maker Max Martin, born in 1972, is almost always writing with people younger than himself (Katy Perry, Justin Beiber, Kelly Clarkson, Taylor Swift). I presume he’s still learning something through these collaborations. And ultimately, that’s the point. Regardless of age or what stage of songwriting life you are in, you ought to have big ears and eyes for what you can learn and take away from anyone and everyone you write with or listen to. Part of becoming a songwriter who contributes to the music of the world is collecting usable tools for your songwriting toolbox. The goal throughout your songwriting life is to have an ever-expanding toolbox with just the right tool for the task at hand. Say you finish a chorus and find that you’ve written yourself into a major problem. Your chorus ended up in a new key a minor third away from the verse, and now you can’t figure out how to get back to verse two. Not to worry. You pull from your toolbox David Foster’s handy pamphlet on negotiating modulations. No help? Again, not to worry, Foster is not your only source. You pull out Burt Bacharach’s similar pamphlet on navigating internal key changes and serial modulations written a few years earlier. It has the exact solution you need. Apparently Burt Bacharach knows a thing or two about key departures. Who knew a diminished chord could be so helpful? Sorry, but there are no actual pamphlets that I know of. There’s only your brain and its memory. And that’s enough. Good songwriting begins with memory-making (which is the first step to meaning-making). You’ve got to make some memories. Which is why I’ve spent so much time sharing how these memories are made. Songwriters must remember what they’ve heard. The individual memories of unique aspects of musical composition are your tools. If you haven’t done so yet, start storing them up. You’re going to need a big toolbox. Watch and listen for tools. They are everywhere and in everything. What’s a great title? Who are the songwriters that consistently come up with great titles — titles that inspire curiosity? Being able to discern between a mediocre, tired title and a unique, vibrant one is a tool. “Seven Nation Army” is a provocative title. “Good Times” is not. Why? How many songs have you ever heard of called “Seven Nation Army”? Which title makes you more curious to hear the music? Having the facility to play with the timing of lyrics in an improvisational, elastic way is a tool. This is always important, but absolutely essential with hip-hop and rap. Lil’ Wayne raps like a jazz drummer plays a ride cymbal. He is literally breaking up the time that exists within two or four measures and is in control of it in a seamless way. Syncopation, rests, emphasis words and beats, rapping over the bar-lines — all of these are skills you might just need in your toolbox. They’re one of the tools that keeps rapid eighth and sixteenth note lyrics from sounding like “Rapper’s Delight” or a recitation of the Beverly Hillbillies theme. Luke Laird, one of Nashville’s most successful country writers grew up on hip-hop and can beatbox with the best. He has used his hip-hop tool often and to great success, but not by making a hybrid song of country and hip-hop influences. What Luke has done is more subtle and nuanced. And it’s very much in keeping with the way I always hope songwriters will come to view the many tools they collect along the way. Luke uses his hip-hop tool to subtly infuse lyric syncopation into music that is largely non-syncopated. Just a little use of the tool goes a long way within a single country song. It sets the song apart and inspires people in fresh ways to listen and enjoy. Create what is familiar. For example, if you’re familiar with the harmonic devices and melodic shapes Elliot Smith employed, you’ll have no trouble writing a verse that is a subtle homage to Elliot’s gifts. Songwriters borrow from each other all the time. The key is to learn to tastefully, seamlessly, and often unconsciously integrate influences into your own songs. Otherwise, it’s just copying, a musical version of paint-by-the-numbers that may get you a lawsuit — just ask Robin Thicke, Clifford Harris Jr. aka T.I., and Pharrell Williams. Their worldwide smash hit “Blurred Lines” is strongly influenced by Marvin Gaye’s “Got to Give It Up.” Lawsuits ensued. Get yourself out of a problem. If you haven’t written yourself into some sort of problem yet, you will. Hopefully, anyway. I find that people who don’t risk (at least some) don’t travel to any new places with their songwriting either. Imagine you’ve written a song where you feel the chorus ends best with an abrupt single eighth-note word in a 2/4 bar. But you don’t want to go right back to the 2nd verse. What do you do? There might be more options than you’d think. 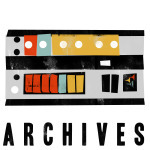 Access that turnaround tool with its many options cataloging the history of turnarounds in popular music. Problem fixed. What’s a turnaround tool? You better get one. In summary, every songwriter has a musical story he or she was born into and inhabits. It will serve you well to know your story and be able to tell it. Even though children can’t possibly choose the musical story they are born into, they do grow to make their own choices regarding what songs and music they like. There is some window of time, say from 7 to 13 years of age, where you may not be writing songs yet, but you are choosing or starting to choose the music that will greatly influence you. You need an inventory of this music too. Why? Knowing your story not only empowers you, but it reveals your weaknesses too. You may find that you’ve never listened to Ann Peebles sing “I Can’t Stand The Rain” — if so, fix that quickly. Peers, as we’ve seen (as in people your own age and general ability) play an important role in the development of a songwriter. Who are your peers? Who are the songwriters you are actually friends with? Who are the ones your age that you listen to but watch their careers from a distance? Again, take the time to make an inventory. You’re collecting together something of what makes you the songwriter you are and hope to become. As I said earlier, it’s your story. Write it. If you find that you don’t have much of an early childhood musical story, music you can remember from when you were from ages 7 to 13, or too few peers, you’ve got some catching up to do. Don’t be discouraged, but do start listening to everything and make some musical friends. We are all cultural people living interdependent lives. And while on the best days it may seem that songs drop out of the sky into your lap, you’re really participating in an even greater mystery than that. How is it that we are all drinking from the same great, historical fountain of music and songwriting, ancient and contemporary, and yet we still manage to create something no one has heard before, and not just once in a blue moon, but fairly often? Now that’s a mystery.